Do you want to grow your contracting business this year? While the building industry still isn’t back to where it was in 2005 or 2006, there has been a significant improvement over the last few years and it’s possible for small contractors and home builders to start considering growth again. However, the competition is stiff out there. Between a huge variety of small local contractors in most markets to the large national players who are always looking to expand, you need something to help yourself stand out. If you want to find more customers and work on more projects, then online marketing is going to give you the best bang for your buck. But how does online marketing work? That’s where we come in! Let’s take a look at some of the winning strategies for contractors on the web. As someone who works with and sells to the public, you need to project an image of professionalism in order to gain their trust. These days, with most people searching online before they make a purpose, the single most effective way to make a great first impression is with a well-designed, professional website. This is one area where you definitely do not want to skimp. Anyone who spends even a small amount of time online can tell the difference between a professionally-designed website and one that was thrown together by an amateur. If you want people to trust you with high value projects, you need to build an image of professionalism, and that starts with a professional website. People actually search for services more on mobile phones, and these people are very likely to actually make a purchase when they find you. That means that you need a responsive website – one that will automatically resize to look great, no matter the size or shape of the screen it’s being viewed on. A professionally-designed website is a must. The very first and most important thing you need to know about online marketing is that before you get the chance to impress potential customers, you need to impress Google. Google and the other major search engines are the gatekeepers for businesses who want to reach new customers; they will only connect searchers to your website if they believe that your website is a good resource that answers the questions their users are searching for. The single best way to prove to Google that you’re a good resource is creating lots of high quality content that demonstrates you are an authority in your niche. The simplest way to do that is to include a blog on your website and update it regularly. According to HubSpot, active blogs draw 6.9 times more organic search traffic. When we talk to contractors about this, they’ll often say they don’t have anything to write about. But once you start your blog, you may be surprised. The thing to remember is that most of the people who might hire you know next to nothing about what you do – almost any information you can give them about the industry will be news to them. I need to hire a contractor because this is about the extent of my DIY skills. Many of your customers are the same. The truth is that your blog is serving two equally important purposes. First, it’s serving as a signal of authority to Google and the other search engines. But secondly, it’s also demonstrating your knowledge and expertise to the people who are finding your website. If you write a weekly blog that talks about the challenges you’ve faced on different projects and how you overcame them, or a blog that regularly gives DIYers tips on how to complete small jobs, people will know you’re serious. If you’re not a writer, that’s no problem. There are lots of other great ways to produce content that don’t involve sitting down with a word processor. For contractors and home builders, one of the most effective kinds of content you can produce is video. If you have a smart phone and an Internet connection, you can make high quality video content and distribute it online through a free service like YouTube. Take JP Carducci Inc, for example. 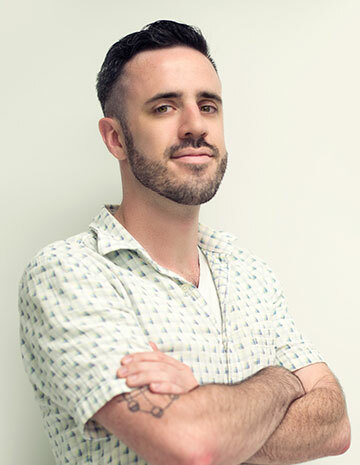 Jason Carducci is one of thousands of contractors throughout the United States and Canada who is producing great video content that is promoting his business. If you take a look at his YouTube channel, some of his videos have tens of thousands of views. There’s no reason you can’t do the same thing, and establish yourself as a construction expert in your local market. Once you’re regularly producing great content, your next step is to promote it. Sure, you could take the “If you build it, they will come” approach, but you may be waiting a long time. The Internet is a busy place, and it’s full of content producers competing for attention. If you want to make sure that your hard work producing content pays off, you will likely need to invest in some promotion. The good news is that if you have a little time on your hands, you can take some steps to attract visitors to your website without spending any money. One of your most important tools here is your company’s social media accounts (you are on Facebook and Twitter, right?). Every piece of content you create should be posted on social media because these websites are the best way for prospective customers to engage with your company. You can also reach out to other content producers with bigger audiences and ask for them to share what you’ve made. If you think what you’ve made is a good enough on its own to get them to share it you can simply ask them, but a way to encourage them to share is to mention them and their work in your content. For example, if you’re writing a blog post about new bathroom designs, you could link to a picture of the work posted by another contractor and then reach out to let them know you’ve done so. They want to show their customers how great they are, so chances are they’ll share your post, and you both win. A side benefit of this method is that it helps you to build long term relationships with other experts in your field. It’s a truly great way to network, and don’t be surprised if you start getting calls from other contractors about jobs they think your company would be great for. Paid marketing is the fastest and most effective way to start bringing visitors to your website to consume your content. While it does cost money, promoting your work online costs a fraction of what it costs to promote it on television or in print (remember that statistic above about online marketing costing 62% less?). You have a few different options for how you can promote your content. Promote your posts on social media. Facebook and Twitter both allow you to pay them money to show your posts to more people. This is a great option when you want to promote your social media accounts and gain followers at the same time. Set up a search PPC campaign. 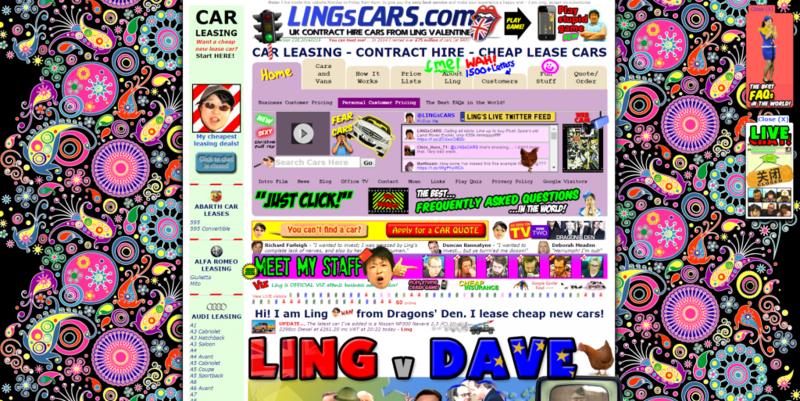 Pay-Per-Click campaigns are more like traditional advertising. Someone does a Google search and included in the search results are a series of ads. For example, someone googles “how to patch drywall” and then right at the top of the results is an ad for your video about patching drywall. And the great thing about PPC is that you only pay when people actually click on your ads. Set up a content PPC campaign. You can use a service like Outbrain to have your content featured as an ad or “recommended content” on blogs and news sites. If you’ve ever read the news online, you’ve probably noticed a list of other articles to read at the bottom of the page – these are ads for businesses that are paying to have their content featured. You could be one of these too! Whatever method you choose, your top priority should be driving people to the best of your content. The more people who find what you’ve created, the more people there will be who find it useful or interesting and share it with their friends and family. This is at the top of the results for "general contractor san diego"
If you’re building content, sharing it on your social media, and promoting it online, you are going to attract readers or viewers from all over the world. This is great for building your brand, getting your site noticed, and ranking well in search results. But what good does it do you to have fans in another country when all you really want to do is get more work in your own city? This is where local marketing comes in. Google results feature something called the Local Stack. This is a collection of 3 links that shows up near the top of the search results when a user searches for a local service. When someone in your town searches for “home builder,” you want to be one of these three links. The key to having your business show up in this Local Stack is to properly configure the Google+ page for your business. Now, you may know about Google+ and think it’s a waste of time because it’s a social network that nobody seems to use. However, since Google owns it, they use it to collect information about businesses that determine whether or not they would be a good result for someone doing a local search. The very first thing you need to do is verify your Google My Business listing. Google has helpfully provided a detailed guide to doing this, but the basics are that you either need to create a Google+ page for your business or claim a page that already exists. Once that’s all set up, you have to verify your listing. To do this, Google will send a postcard with a PIN to the address you’ve provided. Once you receive the postcard, you enter that PIN into the website, and presto, you’re verified. This means that Google believes you are who you say you are. The next step is to build citations for your business on listings across the web. A citation is simply your business’s name, address, and phone number (NAP) and the key here is to make sure that any place your business information appears, the NAP is always consistent. If one listing has your office phone number and another has your foreman’s cell phone number or your office’s address is not formatted consistently, Google’s algorithms will consider this information untrustworthy. If your NAP is consistent everywhere it appears online, then Google will be more confident in offering your business as a local search result. 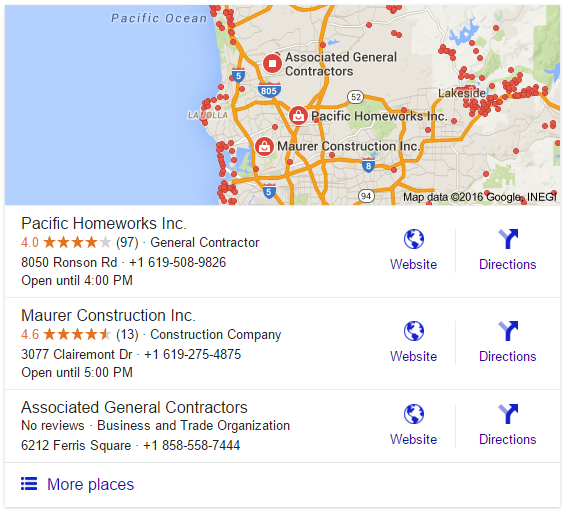 The final step in earning Google’s trust in local search is to get lots of reviews. You need to encourage as many of your customers as you can to review your business on your Google listing. If you’ve ever had a customer write a testimonial for you, consider reaching out to them again. Send them a link to your Google listing and ask for a review. And going forward, send the link to any customer who seems to be happy with your work. The more reviews you can get, the better! It’s tough out there for home builders and other contractors who are trying to grow their businesses. Competition is fierce, but that’s why online marketing is so effective. It allows you to build a brand and connect with local customers who are looking for a business just like yours. If you're a contractor looking to build your business through online marketing, we should talk. If you’re a contractor who has been building their online presence, we want to hear from you. Has online marketing been effective for you? Has it helped you find new leads or make any other professional contacts? Leave a comment on this post, or get in touch with us on Twitter.